Opening hours: Most shops are open 9am - 5pm. Shops are open on Sundays at their own discretion. There are 16 touchscreen visitor information kiosks placed around Newcastle. Surrounded by the beautiful Australian nature, Newcastle offers plenty of things to do and see. Enjoy water sports, relax on the beach or go for a sightseeing tour in the city. You will definitely not run out of activities in Newcastle. Simply pick up a leaflet or a map and walk around the streetscapes of beautiful Victorian buildings. When you get tired you can hop on Newcastle’s Famous Tram, a replica of the original Newcastle working tram in service in the 1920’s. 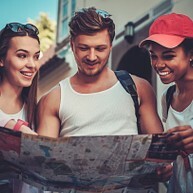 Stops are outside Newcastle Railway Station on Watt Street and the Crowne Plaza Hotel on Wharf Road on weekdays only. Newcastle Regional Museum gives a good overview of Newcastle’s history as the hub for the region’s mining and steel industry. Variety of exhibitions, including permanent and special ones are of great interest for the visitors. One of these exhibitions is the Supernova hands-on science centre, which is fun for the whole family. Don't forget to book your tickets in advance. 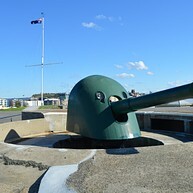 Fort Scratchley is an old Victorian house, but also a military and maritime museum. It is open also on weekends and public holidays. Take advantage of the organized tours, and check out the tunnel system and learn more about Newcastle's past at this historical site. Head north of the city and relax at Stockton Beach. You will find that this long, wide beach with massive dunes is somewhat of a playground. 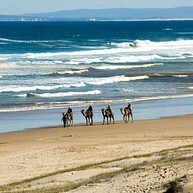 Try thrilling quad-bike tours, slide down the dunes on sand boards or explore the beach on horseback. An exciting experience is awaiting you! Convict Lumber Yard was once a industrial workplace for prisoners. This museum now houses sculptures and charts that bring back the visitors about hundred years ago and show them what the life as a convict was like but it also gives an insight of the development of the local settlement. Blackbutt Reserve is located nearby Newcastle. This nature reserve offers amazing walks with a rich opportunity to get close to the typical Australian flora and fauna. The nature reserve is a great option for a family day out and it will be a great entertainment for the kids. Parasail Port Stephens cares for customers seeking for that adrenaline kick. 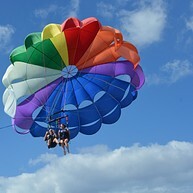 Parasailing tandems will take high flyers soaring up to 100 metres above the water. The ballooning parachute is winched into the air from a speed boat and enables you to see Port Stephens from a rare and fascinating angle. Don't miss this once in a lifetime experience. 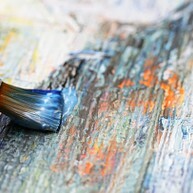 One of Newcastle’s most impressive art venues can be found at the corner Laman and Darby Street. 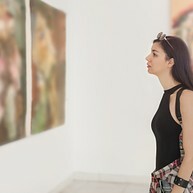 Newcastle Art Gallery started as an idea to exhibit some 137 Australian paintings and today hosts about 6100 works of art. 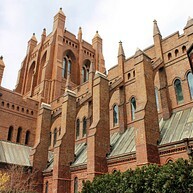 The opening in 1977 was celebrated with a visit from Queen Elizabeth II and except the paintings, the architecture of the building itself makes this place worth a visit. This creative hub hosts modern displays and is home to numerous local and international art installations as well as performance events. Their Artist-in-Residence programme supports young talents in realizing their projects and gives them room for work and exhibitions. One of Newcastle’s landmarks is the Christ Church Cathedral. Next to the impressive architecture, interior and art you can visit Newcastle's principal War Memorial and Memorabilia inside. The impressive choir and the pipe organ attract tourists from all communities. Whybagarba or Nobby’s Island is located outside the Newcastle Harbor and served as a coastal defense station in WW II. The lighthouse on the island is an important landmark as it is included in Newcastle’s coat of arms. You can visit the lighthouse every Sunday from 10am - 4pm, admission is free. Overlooking Newcastle and Lake Macquarie, Mount Sugarloaf is a popular place for outdoor activities. There are several picnic areas and lookouts and the light hike is suitable for the whole family. Take the kids, pack some lunch and climb the summit! 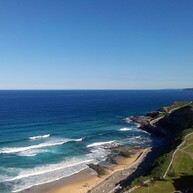 Enjoy the ocean at its best at King Edward Park. The former recreation reserve is a popular place for weddings and holds a bowling green as well as an Obelisk. Families BBQ and picnic here all day long and if you're lucky you can even catch an open air movie on summer nights. Bar Beach rings the city center of Newcastle and is a popular spot for getting a tan under the Australian sun. The well-maintained beach offers a number of surfing spots and you can easily enjoy a lazy afternoon on your summer vacation by the clear blue ocean. 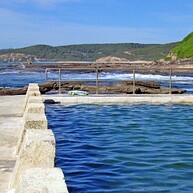 One of the largest and most famous ocean baths is located at the shore of Newcastle. It is open all year round, which motivates some to use it especially in winter months. Don’t miss this unique swimming experience and don’t shy away from a visit even on cold days.